at the Scout hut, Watery Lane, Wooburn Green, HP10 0NE. 7.45pm for an 8.00pm start. Book as a team (max 8) or join one of our teams. Each year a number of our supporters take on challenges to raise money for the playgroup. The combined Mason lodges, Wycombe, Penn & Tylers Green, Burke, Bourne End, Temple Manor, Hall Barn, St Lawerence and Entente Cordiale organised a pig roast. Alan Wilkinson ran the Great Manchester Run. The Thompson family raised funds by taking part in the Iron Kids Triathlon in Wales. The grandparents of one our children have made a generous donation. Three local companies have made donations directly into the bank account: Shanly, Sprymedia, and ACAL BFI. MOP has been named as the chosen charity for both Sainsburys Beaconsfield and White Stuff in Marlow. There is more information on these in the Sep-2017 newsletter. One of our parents (with colleagues) ran the Manchester half marathon on 28th May. Please visit his fundraising page for more information: www.gofundme.com/psvsg-pippa-wilkinson. Georgie Fielden one of our exMums set herself 10 challenges for 2016 to raise money for MOP and the Breakaway foundation, the two charities that have given her boys Danny and Eric amazing support over the past few years. In 2016 on 25th September, Ian Newton rode forty-two miles in L’Etape London by Le Tour de France to raise funds for Marlow Opportunity Playgroup. Also on 25th September, Steve Batey ran a half marathon to raise money for MOP. If you are thinking of holding an event with your friends and family to raise money for the playgroup, we can provide collection tins and promotional literature and give advice on setting up on-line giving sites for anyone brave enough to take on a challenge for MOPs. An amazing total of £11,117 was raised. Many thanks to everyone who supported MOP with this event. 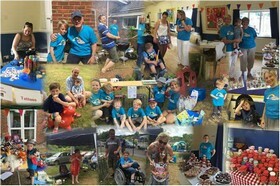 Very many thanks to everyone who supported our Summer Fair in any way. Lovely to see so many people today in the sunshine. Great job yet again. 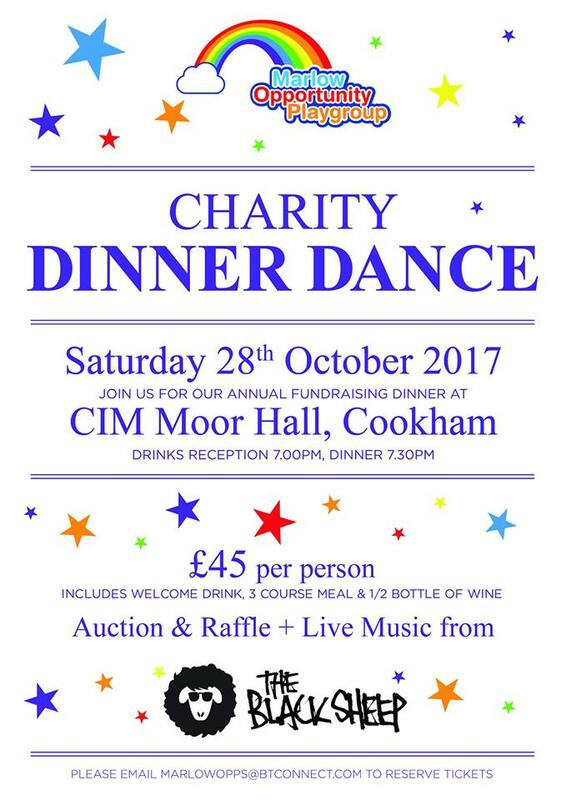 Charity Dinner Dance on 28th October 2017. This year we are raising money for a brand new eye gaze system to have here at playgroup. It will be a fantastic resource for all our children, giving them a chance to play and communicate like never before. The amount raised in total was £9000, thank you to all who supported us. Christmas Fair on Saturday 25th November 2017. The amount raised was £1507. Thanks to all who supported this fundraiser. We ran our week of morning holiday sessions w/c 14 August. Any ex-MOP children under 8 were very welcome to attend at a cost of £7 for the 3 hour session. These sessions are run by MOP staff. Limited places were available - on a first come first served basis - email marlowopps@btconnect.com to register your interest. We held our Spring Fair on 22nd April 2017. A fundraising walk on Sunday 7th May 2017 through the beautiful National Trust Ashridge Estate near Berkhamsted. The walk was approx. 5 km (3 miles) and will set off at 11.00 am from the Monument adjacent to the Visitors Centre. It was led by Nicky a Nordic Walk instructor who supplied Poles and Instruction for any who wanted to try Nordic Walking. You can walk with or without Poles. Those not up for a 5K walk could join us a at the end ( between 12.00 midday and 12.30 ) for a Buggy / Wheel Chair friendly walk around the meadow at the Visitors Centre followed by a Picnic on the Meadow. 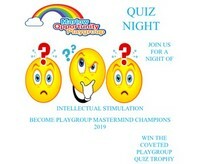 An evening of intellectual stimulation and putting knowledge to the test with a team of friends at our Quiz night on the 24th March 2017. It was held at the Scout Hut, Wooburn Green, HP10 0NE. 7.45pm for 8.00pm start. Booking was as a team of eight master brains or to join one of our teams. 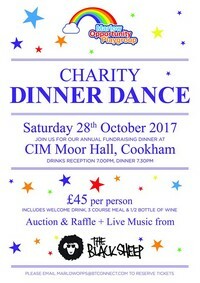 Tickets were £10 to include supper (choice of: Chicken, Fish, Sausage or Veggie Burger). Fun and festivities and £1270 raised for MOP funds. 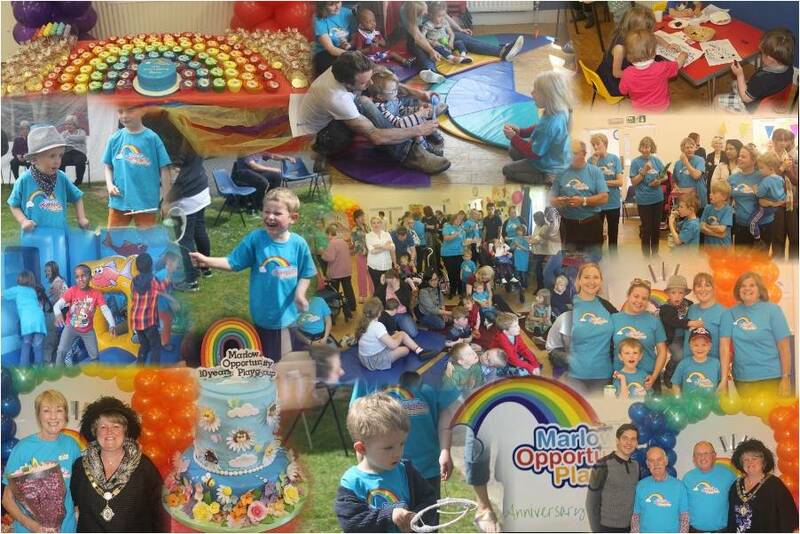 Everyone had a great time and £6967 was raised for MOP funds. A fun-filled morning, cake buffet and BBQ lunch. All the traditional favourites: Bouncy Castle, Tombola, Lucky Dip, Splat the Rat, Hoopla and a chance to win one of our great raffle prizes. An evening of intellectual stimulation. Tickets were £10. Which included a supper of Chicken, Fish, Sausage or Veggie Burger, all served with chips. We held our 10yr Anniversary Celebration on Saturday 25th April 2015 - an event enjoyed by all who attended. 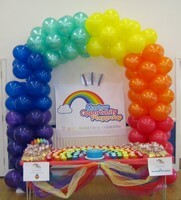 Bubbles, bouncy castle, entertainment and displays (cost covered by local sponsors). If you are interested in contributing in any way to the running of the playgroup, we welcome parents to join our Voluntary Management Committee who meet every 6 weeks here at the Scout Hall at the end of the session. Please speak to me (Jane) if you would like more information.